A four storied house of 210mq. 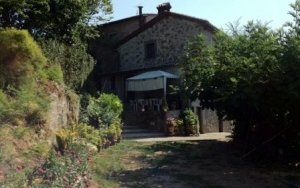 in the town of Benabbio, with garden in front and barn with 7’500mq of woodland. Ground floor – large room used as workshop. First floor – bathroom, large bright room used as a living room and kitchen / dining with views of garden and surrounding environment, still on this level is a large room with access to a small private courtyard. 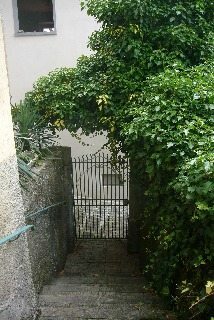 Second floor – very large hallway used as twin bedroom, bedroom which overlooks courtyard. Fourth floor – there is a unplastered room. Included in the sale is a barn with 7’500mq. of woodland accessible by car. 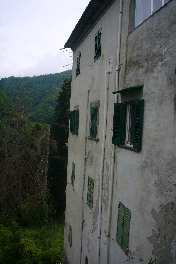 Village house with outbuilding on 2 floors and land in the village of Brandeglio, near Bagni di Lucca. 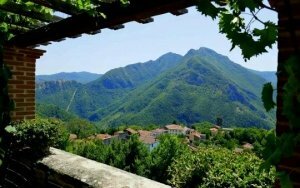 Former guest house and bar, of circa 400mq, near to the Bagni di Lucca's thermal baths, with access to hot thermal waters.